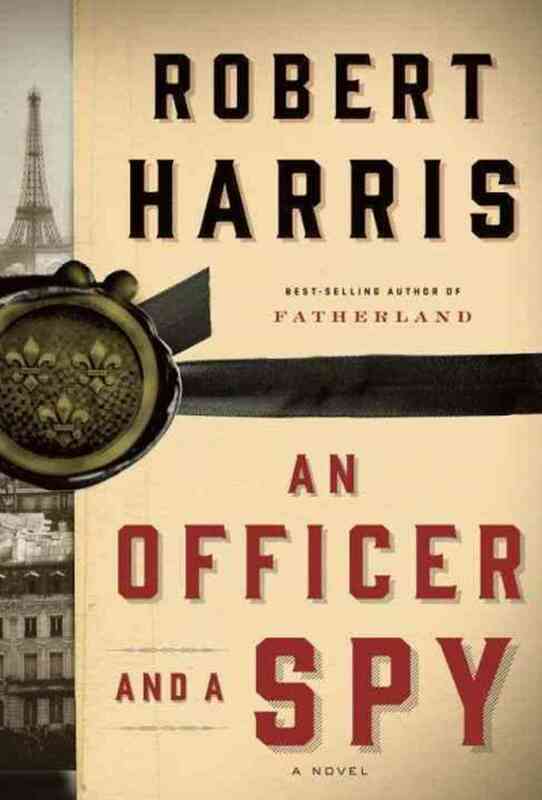 An Officer and a Spy is about the Dreyfus case. 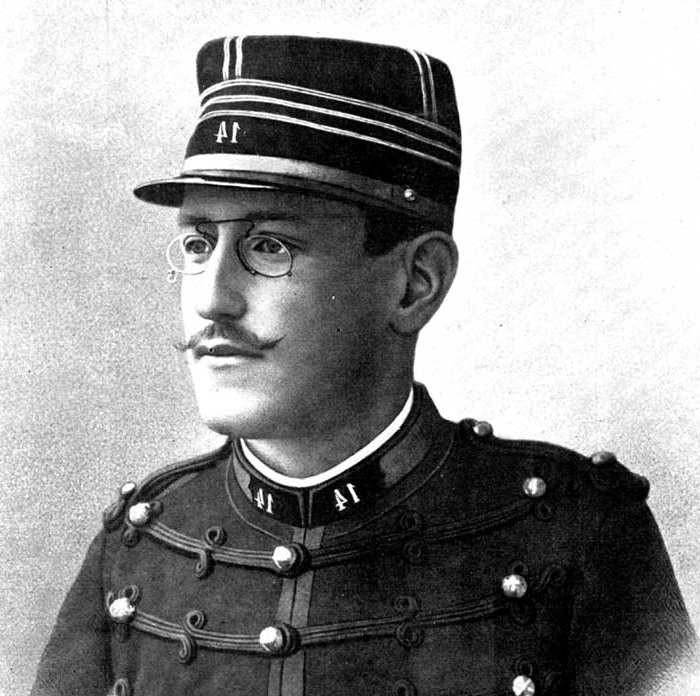 In 1894, Alfred Dreyfus, a captain in the artillery division of the French army, was accused of passing military secrets to the Germans. Having been subjected to a mortifying defeat in the Franco-Prussian War, France’s armed services still regarded Germany as the enemy and the hated former overlord. This treasonous action would therefore be regarded with the utmost outrage, with the traitor being prosecuted to the fullest extent of the law. Completely understandable – except for one crucial fact: Dreyfus did not do it. He was, nevertheless, convicted. After enduring the appalling and very public humiliation of la dégradation, he was deported to Devil’s Island in French Guiana, where he was imprisoned alone, in ghastly conditions and under extreme duress, for just under five years. In 1899 Dreyfus was returned to France to be tried again. Incredibly, he was once more found guilty. But that verdict was set aside. Ultimately, Dreyfus was exonerated and declared innocent of all the charges brought against him. In 1906, he was reinstated in the army of France as a major. Why was Alfred Dreyfus made a scapegoat in this matter? He had several factors mitigating against him. He and his family were Alsatian. The Germans had seized Alsace during the Franco-Prussian War, and as a result, most patriotic French men and women refused to go on living there. (The affect of this brusque transition is described in the most poignant way in Alphone Daudet’s story, “The Last Class.“) Dreyfus’s family stayed; they spoke German as well as French. In addition, the family possessed considerable wealth. But the single thing that told most powerfully against Alfred Dreyfus was the fact that he was Jewish. 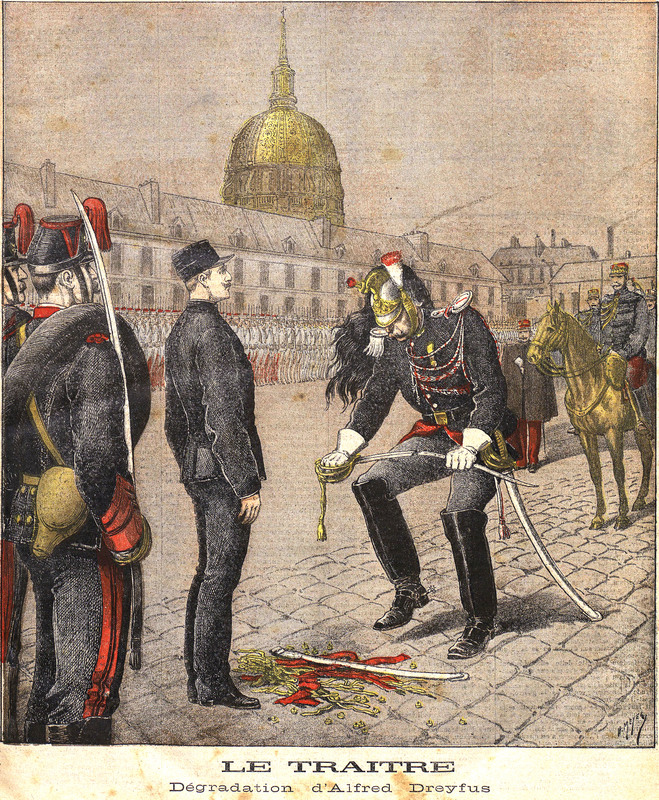 The unmaking of the Dreyfus case is a very long story—so complex, and taking place at such a snail’s pace and in such wayward directions, that almost no one has ever been able to relate it simply. Indeed, from beginning to end. L’Affaire Dreyfus is fiendishly complicated. From amidst a welter of information, Robert Harris admits that at first, he was stymied in his efforts to craft a coherent narrative. Only when Colonel Picquart emerged as a compelling figure in his own right did the material begin to assume a form that the author could work with. As the newly appointed Chief of Staff of Army Intelligence, Lieutenant Colonel Georges Picquart is tasked with keeping a close eye on the ramifications of the Dreyfus affair. Beginning in 1896, Picquart sets out to do just that. At first, he is firmly of the belief that Dreyfus was guilty of treason, a belief strongly reinforced by the concurrence of fellow service members and friends. But as he looks more closely into the matter, doubts take root and begin to grow. Ultimately, Picquart risks his career and his freedom as he seeks vindication for Alfred Dreyfus. This, despite the fact that he, Picquart, has no particular liking for the Jews and actively disliked Dreyfus himself, a man who by all reports was not possessed of an appealing personality. Inevitably, the subject of anti-Semitism in France was raised. Prejudice against those of the Jewish faith abates from time to time but apparently can never be completely extirpated. This is the message of the Simon Schama program referenced above. This subject is oddly current, what with the recent firebombing of a synagogue in a suburb of Paris. Wikipedia has a highly informative entry on the Dreyfus case. I also recommend the chronology on the Georgetown University site. This was an extremely stimulating and worthwhile discussion. I would definitely recommend this title to other book groups. Robert Harris has written nine novels. I’ve read six of them. I think he’s a terrific writer.